up to stuff. The intensity of the stock light puts it in the very low light category and I knew that some of the plants I selected required lighting in the upper end of low light or even medium light. Also, the color of the stock light was a bit on the blue side for my taste. Lastly, I consider the stock light of the Fluval Spec V to the be the lowest quality component of the product; no matter how much I tried to ‘coerce’ it back into shape, it came with a permanent bend that looked funny. 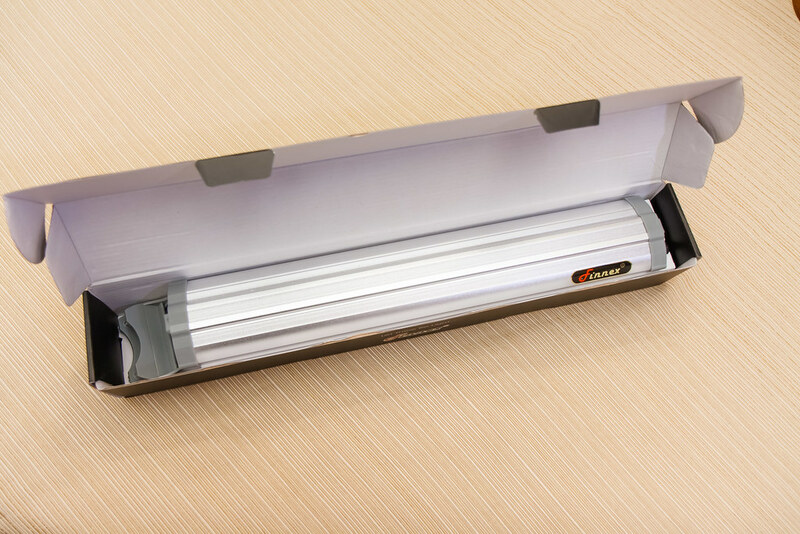 LED lamps – it seemed reasonable for a small fixture such as this to go ahead and get the latest technology. A length that would work with the dimensions of a Fluval Spec V.
Research quickly led me to the Finnex FugeRay Planted + line of LED aquarium lights as the prime candidate for our new light. I will have to take them at their word on the benefits to photosynthesis; however, the more evident benefit to my eye is the excellent colors that are rendered by this light. The red accents help to warm up the tone of the lighting, which is preferred to my eye over the coldness of white LED lamps only. 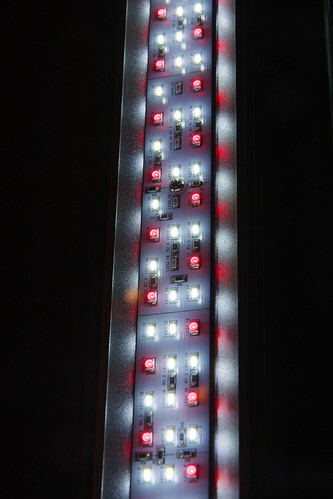 Normal Mode Lighting comprised of (60) 7000k White LED’s, (32) 660nm (Red) LED’s for a total of (92) 1 watt LED’s. 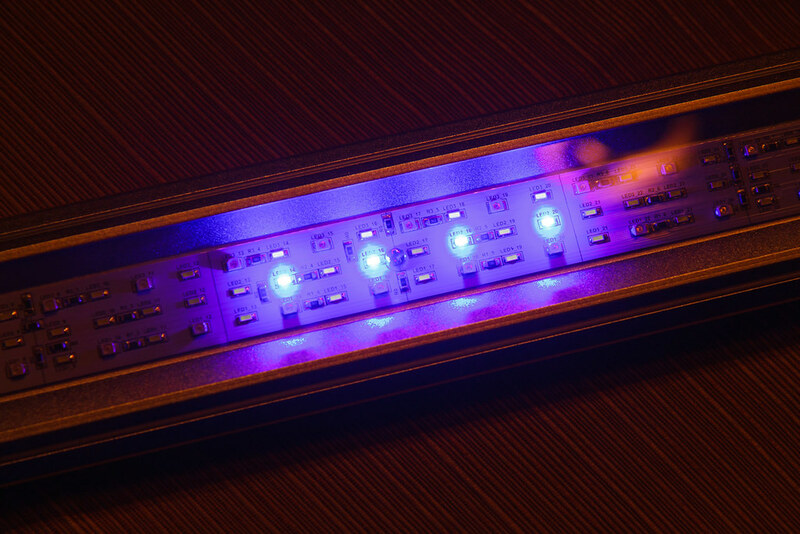 Night Mode Lighting – (4) Blue LED’s. The light is available in the following lengths: 12″, 16″, 20″, 24″, 30″, 36″, and 48″. Pricing increases based on length. I paid $65 USD (including shipping) for the 16″ model. 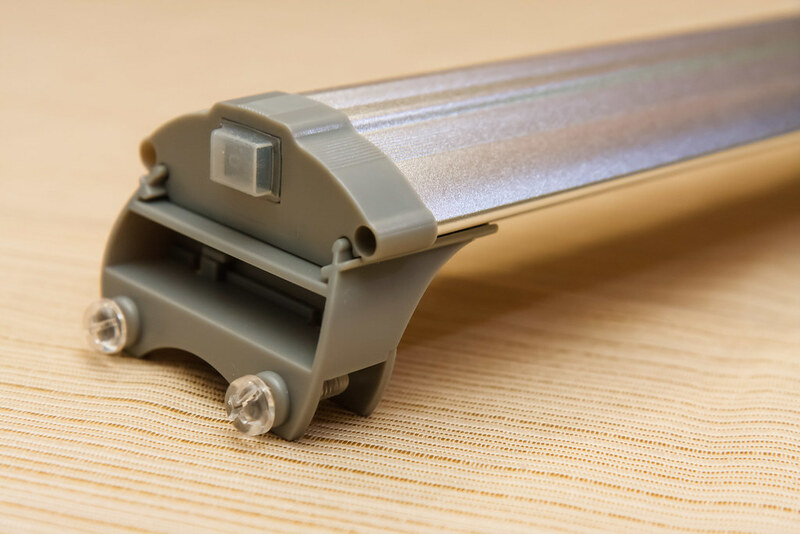 The light housing is made up of extruded aluminum. I think it is a great looking light with a very sleek design. 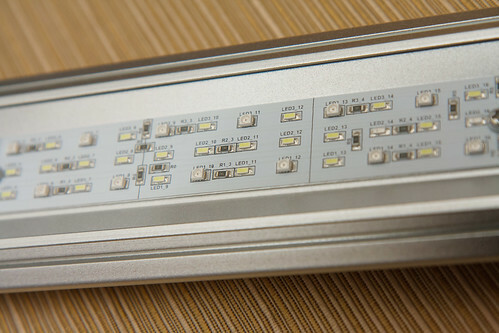 The aluminum material doubles as a heat sink to dissipate warmth from the LED lights. It gets warm but not hot. There are some ‘Finnex’ decals on each side – I removed them easily and like the look better without them. 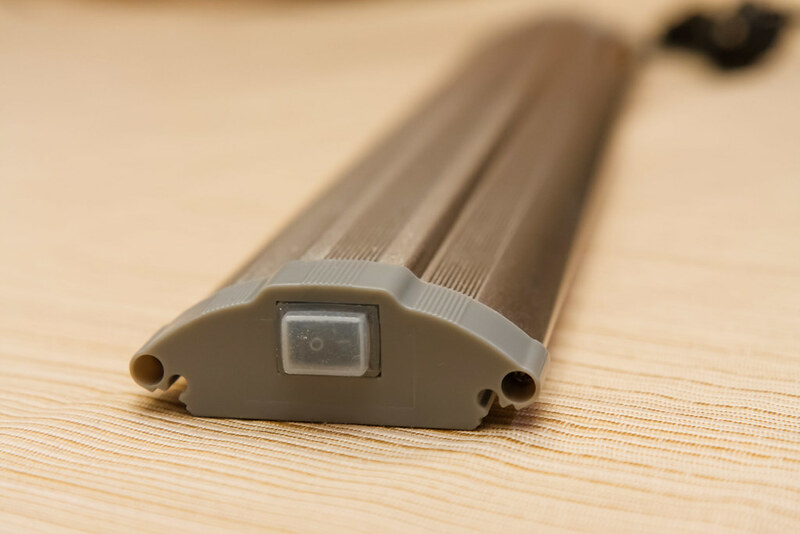 The light is controled by two switches enclosed in soft rubber covers, one on each end. One switch turns on the main lights, and the other turns on the night mode lights. Both switches work independently so the main lights and blue night mode lights can be turned on at the same time. I actually have mine setup to have both modes come on when the light is energized from a smart plug: the night setting lights add just a bit more intensity in the center and it balances the warmth of the main lights nicely. The power cord is interesting. 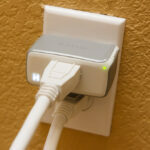 It has a section of cord that comes out of one end of the light fixture and is routed to a AC/DC converter box. From there, you have another cord that goes to the plug. This isn’t a bad thing; you just have to find a place to store the converter box. The problem I have is that the cords that enter either side of the converter box are hard wired. I had a tough time hiding this box as it would not easily fit through the opening in my storage box. I did eventually get it shoved in through the cord opening to get it hidden. This would have been easier if they would have put a plug of some sort into the end of the control box so that one of the wires could be disconnected. The light includes separate grey plastic mounts that slide onto either end of the light fixture. 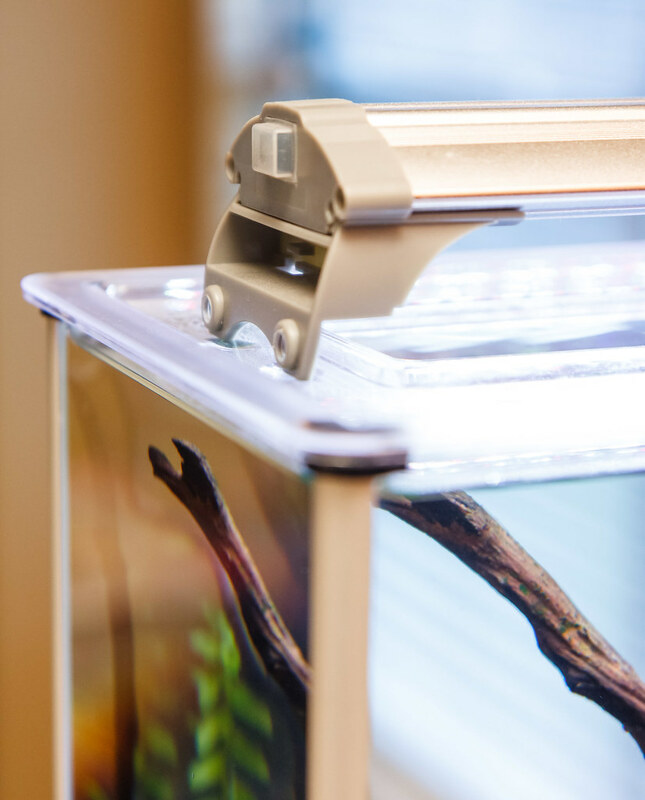 The mounts are designed to rest on the rim of your aquarium with a plastic stop on either side of the glass. 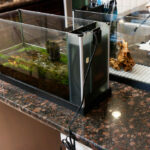 The mounts also have 4 screws (2 on each end) that tighten to clamp the glass/frame of the aquarium. The screws are made of clear plastic. The screws seem very cheaply made. I don’t necessarily have a problem with them being plastic. However, the threads seemed damaged right out of the box and were very hard to turn. I was not going to mount this light on the glass so I removed the screws and also found that the inner plastic stop on each end is also removable. Despite a few problems with the quality of the mount, the light is very well made. I have no concerns with the integrity of the water tightness. 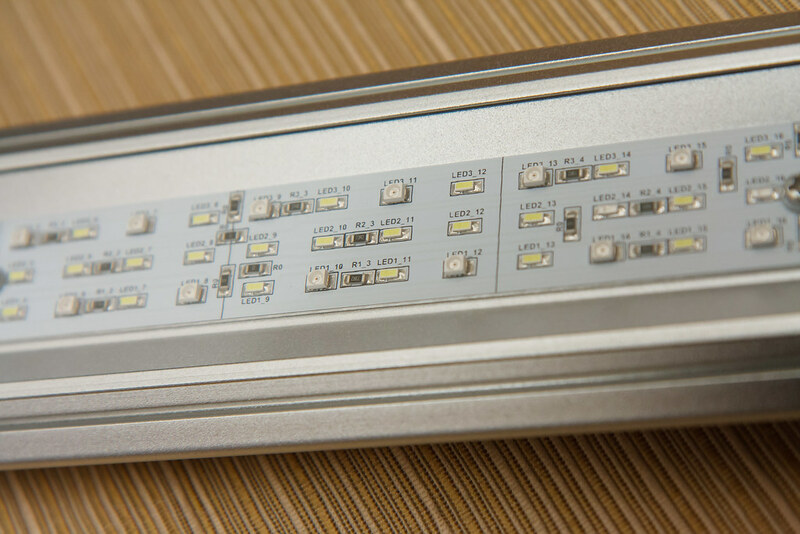 The lens that covers the LED array is continuous, optically clear, and seems quite durable. The switches are easy to turn off/on and I think will be durable over time. I have measured my Fluval Planted + light fixture as carefully as I can, down to the nearest 1/16th of an inch. Metric values are conversions from english and rounded to the nearest mm. Know that there will be some variance from unit to unit, but these numbers will be very close. 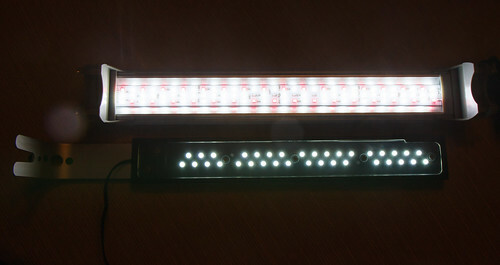 The measurements are for the 16″ model – some measurements may be applicable to other light lengths in this series (such as height). Maximum mounting width: 18″ (457 mm). This is with the feet, mounting on glass, outside edge to outside edge. Mounted height : 2-1/16″ (52 mm). This is with the feet, mounted with the feet resting on a surface. Mounted glass height : 1-9/16″ (40 mm). This is with the feet, mounted with the feet resting on a surface. 105 PAR in the center. This is a perfect light intensity for high light plants in a high tech aquarium. 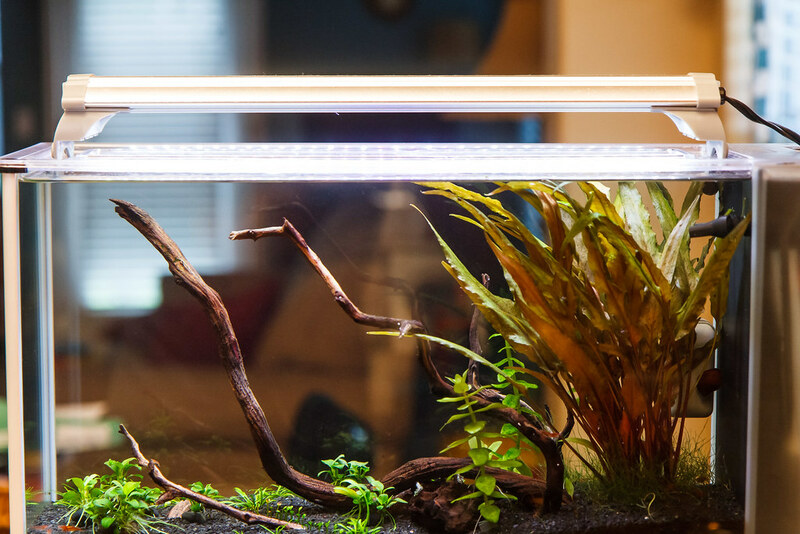 If you want more information on what light intensity (PAR) is best for your needs check out my Basics of Planted Aquariums page. About 103 PAR (average) in the corners. I’m amazed at how even the light is midway down the tank – I expected more light falloff in the corners. Very good performance at the bottom of the Spec V – 89 PAR (center) is a great intensity for growing most anything. Again, light falloff at the corners is minimal and is even. This is nice – if the light performance dimmed at the corners it might limit your plant layouts, forcing you to avoid planting high demand species in the extremities. That is not the case here. The Kelvin readings are around 5,300k and they confirm what my eyes see – a balanced light with a bit of warmth (in color temperature). The curve on the PUR graph shows good performance in the red frequencies, which plants like. This confirms the intent of this fixture, given that the design includes red LED’s for plant growth. The testing proves what I have come to find after years of using this fixture – it is very balanced in appearance and is very good at growing medium to high light plants. There really is no comparison. The Finnex Planted + is a much better light than the stock light that comes with the Fluval Spec V (pre-2016 version). The build quality is much more robust on the Finnex. Light droop that plagues the stock light is taken care of by the new mounting method. EDIT: Many of the quality issues of the first version of the Spec V light were addressed in the Version II light (2016 and later). However, the Finnex Planted+ is still a great improvement over the Version II light in both intensity and color. In use on the Spec V, I have my 16″ model resting right on the top of the acrylic lid. If a person decided to forgo the use of the plastic lid, you can adjust the legs very wide apart and the 16″ model can span from the end glass to the partition at the filter section. I have seen some people use the 20″ model on the Spec V without the acrylic top. 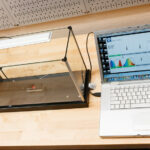 That model can span the length of the aquarium from outside glass to outside glass. It makes for a nice clean look, but I don’t like the logic of putting light over the filter section. EDIT: I now use this light fixture mounted on the glass rim without the acrylic top. The only things I would like them to improve on are the mounting screws and to add a plug to the converter box. These issues are easily forgotten once installed and I don’t have much else to wish for in a light. One wish list item for Finnex LED lights in general is to add dimming capabilities. 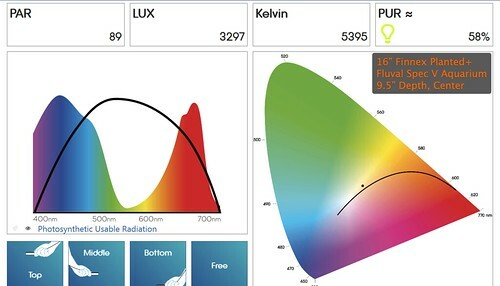 As this is not a super bright light, it’s not that big of a deal, but it would be nice to have a knob to dial down the light intensity to match the needs of a particular aquarium. If the Finnex Fugeray Planted+ light doesn’t meet your upgrade needs for a Fluval Spec aquarium, check out my page of other options. This entry was posted in Product Reviews and tagged 16", Aquarium Light, FugeRay, high light, LED, Medium Light, Planted +. Bookmark the permalink. As I plan the new aq even smaller, maybe round 20l , would love to hear your experience on this. I don’t think LED is any better at deterring algae growth compared to other types of light, if that’s what you’re asking. 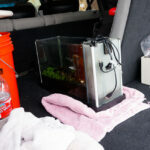 I’m very satisfied with the light – it puts most aquariums into the medium light intensity. great review! how did this product hold up overtime? Thanks! It has held up perfectly. Operates the same today as it did when I got it (19 months and counting). Your blog is great! Very informative and great pics! Can you tell me which Finnex light is best for me to have a live plant aquarium? 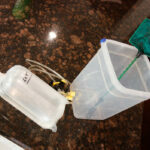 I’ll be using dirt (base), Flourite (little), pool filter sand (cap), and gravel as substrate. 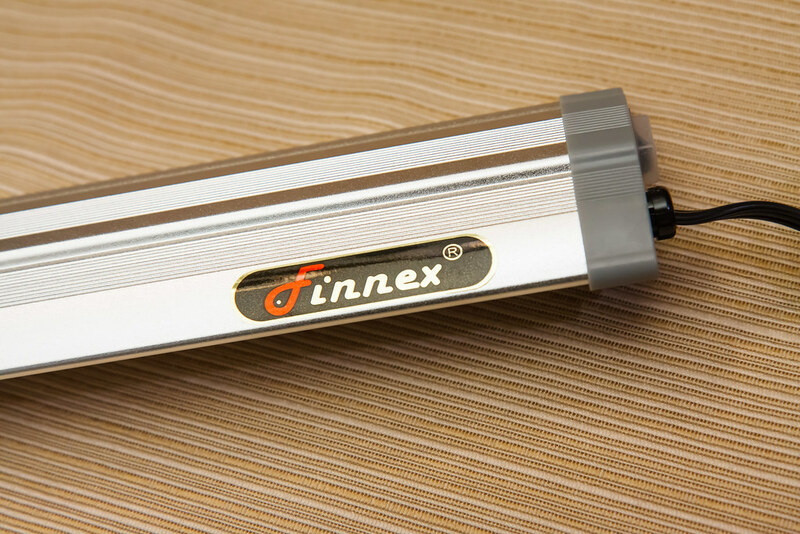 What Finnex model would output lots of strong plant-friendly light? Thanks. Depends on how strong you want, and your success with a very strong light will depend on if you are adding CO2 directly to the water stream. Low-Light: Stingray series. Medium to High light: Fugeray (Original) or Fugeray Planted + (as reviewed here). High Light: Ray 2. For a high light setup, you need CO2 if you are going to keep things balanced and algae at bay. For the fugeray planted+, would I encounter much undesirable algae growthe and will I still be able to maintain low tech status, i.e. no CO2? It depends. How much algae growth is ‘undesirable’ is subjective. 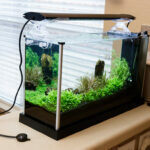 Also know that the more plants you have in there will help to cut down on algae growth. I’d say it will work because this is what I use (Planted + without CO2). I do use excel but not sure how much of a difference that makes. If it turns out you use the Planted + and algae growth is high, just reduce the light on duration. Great site! How long do you leave the light on to allow plant growth, but also prevent algae growth? Thanks for coming by! Here is a page on how long to run your lights. It is a balance and you will need to experiment to find what is best for your light level and plant density. Hey, thanks for all the great information. Your site has been very useful to a beginner like myself. One question though, I just recently purchased the 16″ Finnex Fugeray Planted+ for my Fluval Spec V and now my betta is constantly flaring due to his reflection in the tank. Would you recommend I downgrade to the Stingray? I am worried it’s causing him too much stress. Or will he get used to it eventually? Thanks. I have written about Betas on this site as a service, but I will be honest; I have never owned one. I’m not intimately familiar with their behavior so I can’t say what would work. If you don’t need brightness of the planted + (to keep plants growing) the Stingray will be less bright and might do the trick to ease his stress. I’d suggest you consult with a fish forum where more informed owners can offer their opinion. If you do make a change that helps please let us know. Thanks! I’d contact the manufacturer to get the par readings for the 12″. If it’s heavily planted with fast growing plants, it might work out well. Thanks so much for your helpful and informative site! I’m planning to use the information here to set up a planted, betta-safe Spec V.
I have a bit of an oddball question for you. I’m looking for a way to catproof the Spec V lid. Would it be a terrible idea to rest this light directly on top of the opening in the lid (without the plastic mounts)? 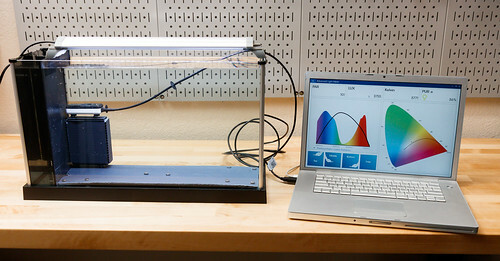 If so, it would serve the dual purpose of providing better plant lighting and keeping curious paws away from the fish. You can set the light directly on the acrylic top without the plastic riser legs. I don’t think it will gain you much advantage for light levels. I also can’t speak for how determined your cat is for moving the light anyway. I am have been looking for this light but sadly cant find one. BTW im living in Denmark. Any idea? You tank looks so good. Thanks! Unfortunately, Finnex doesn’t export to many (if any) countries outside USA. That’s what a representative told me when I contacted them about availability elsewhere. Hi! Just wanted to say I’m sorry if this is the wrong place to ask this! I’m new to this and I’m trying to set up my tank right the first time. 1) Do you think this light is sufficient or how can I check if it is? That is what should I be looking for in lights? 2) If it isn’t would the FugeRay be what I’m looking for? And what length light would be sufficient? There are so many different readings and different reviews. What I want is a light that will allow for me to run a low-tech aquarium. I don’t plan on adding CO2 to the system. My tank dimensions are 1200mm(long) x 550mm(high) x 600mm(wide). P.S. For anyone reading this I’m looking for as much help as possible so if you like to help a novice through this process I’d be FOREVER greatful!!! I just got this light today. It looks like they took what you had to say about and done some upgrades to it. They no longer have the big box for the power cord. They went with a plug in AC/DC converter for it. Then the mounting legs have been upgraded to from yours. They went with a clear plastic like what is on the 24/7 one that you tested. All in all I am very impressed with this light and I hope it provides me many years of use with it. Interesting – thanks for the feedback on the rolling changes to this fixture. Hello, I have a low tech spec v tank that I want to grow low and medium light plants in, currently have anubias, anacharis, moneywort, s repens, banana plant, jungle val, red root floaters, and java fern, getting dwarf sag for a carpet and getting into buces. I’m looking for an upgrade from the gen 2 stock fluval light. I think I like the sound of the planted+ but I’m worried if the light will be too bright for a tank with low demand plants and no co2. Currently I’m dosing seachem root tabs and easy green ferts once every week. I have a cleanup crew but how would the algae growth be with such a par upgrade? I’m running a timer with about an 8 hour lighting window. PS just as a plant enthusiast, may I ask for some medium light plant suggestions for my tank, since I want to get my money’s worth from this light. Also, if its not a hassle, may I ask how you would set up a co2 injection system in a spec v, asking because I assume you made the upgrade at some point. I’d like a simple paintball system, and while I’m not upgrading now, I am looking to in the future. Just really worried I’m going to mess up and kill my fish. The light of this review is medium to high light. Without pressurized CO2 you may run into some algae issues, although I ran this without CO2 for a few years and it was manageable. If you get this light, you might consider lowering the daily light duration a bit. I have a page that details Paintball CO2 systems.